This is part of the exterior of the Miami-Dade County Courthouse. This image shows some of the lower floors of the building. 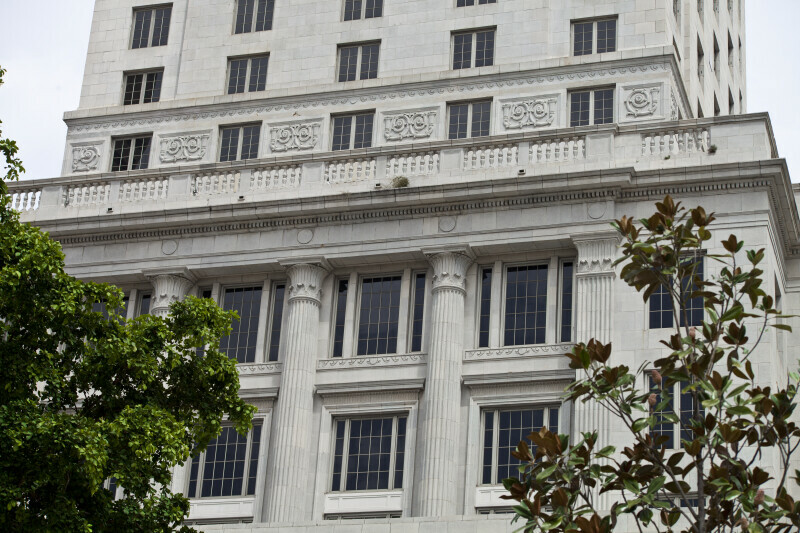 There are three engaged columns near the center of the building, and one pilaster can be seen closer to the corner of the building. There is a balustrade running around the building, above the columns. This building is listed on the national Register of Historic Places.